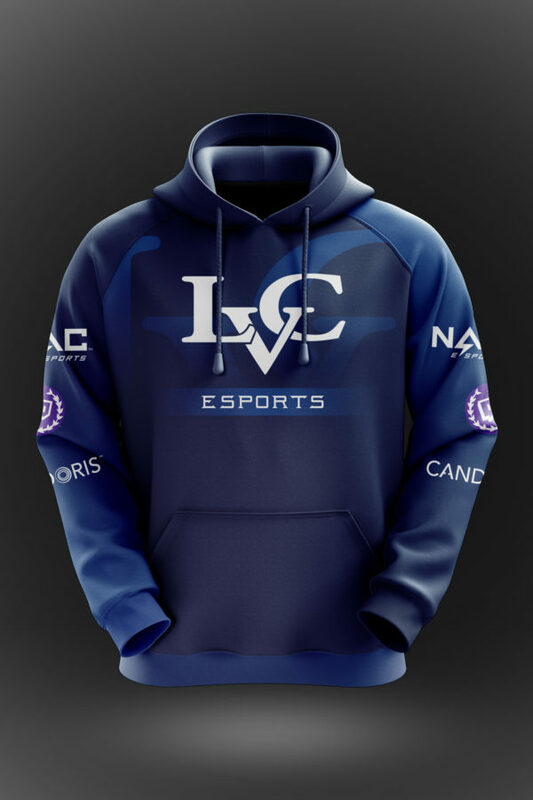 Make intercollegiate varsity Esports part of your LVC experience. 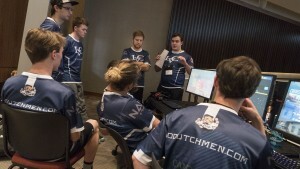 Lebanon Valley College competes against major and international competition in Counter Strike, Fighting Games, Hearthstone, League of Legends, Overwatch, Rocket League, and Smite. The fastest growing sport in the world is played at LVC. We launched the first varsity Esports team in Pennsylvania in spring 2018. Our Esports varsity athletes compete in Call of Duty (fall 2019), Counter Strike, Fighting Games, Hearthstone, League of Legends, Overwatch, Paladins (fall 2019), Rocket League, and Smite. Visit here to see games, rosters, Twitch.TV page, coaches, schedules, results, and more. Interested? Complete our recruiting questionnaire. You'll compete in the National Association of Collegiate Esports, the country's most prominent organization dedicated to competitive collegiate video gaming. You'll have a head coach, assistant coaches, and director of Esports to guide you throughout your student-athlete career. 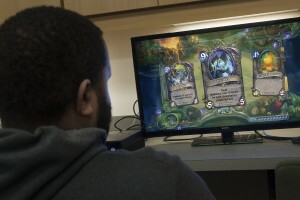 Esports is the 26th LVC athletic team and first-ever entirely co-ed, and is already achieving great success, including defeating the #1 team in the nation in Hearthstone, 3-2. 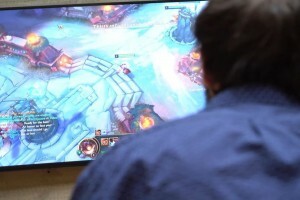 Student-athletes will compete as a member of the National Association of Collegiate Esports (NACE), the country’s most prominent organization dedicated to competitive collegiate video gaming. Be a part of our nationally ranked teams, and compete against some of the largest universities in the country while earning your degree at LVC. 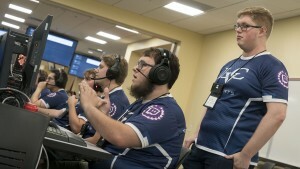 Why Compete in Esports at LVC? 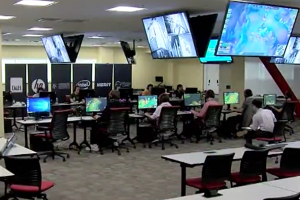 LVC was a very early adopter of varsity intercollegiate esports program, and the first in Pennsylvania. Spectators cheer on student-athletes at contests in a dedicated viewing center or watch live via Twitch (Partner). LVC’s varsity-level program is run as a partnership of the Athletic Department, Information Technology, student affairs, and academic affairs to ensure your all-around success. 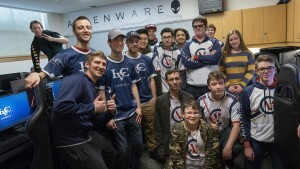 Valley esport student-athletes are provided with uniforms (https://akquire.ca/lvc) and equipment. Our students play on the very best technology including 240Hz/1ms monitors and liquid cooled computers from Alienware. Esports has partnerships with incredible companies to enable our student-athletes to compete at the highest level and excel in every competition. Did you know that the new Overwatch professional league has team owners who also run the New England Patriots (NFL), New York Mets (MLB), and Philadelphia Flyers (NHL)? 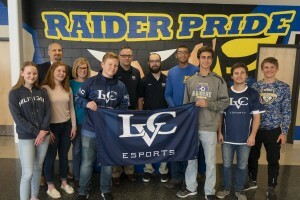 LVC signed with the National Association of Collegiate Esports (NACE), an organization that has about 50 colleges and universities participating in esports with varsity teams. 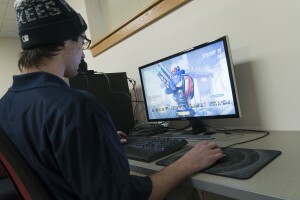 David Shapiro, the Director of Operations for the LVC eSports team explains, "We really want to make sure we're an academic institution at the end of the day. That's who we are, that's what we are known for, that's what we're great at. ESports are just one component of that and the scholarships would match that." A law firm in downtown Harrisburg now represents Pennsylvania's first esports coalition, and it is forging new ground. LVC Overwatch team disusing tactics before a match.